« 3 events tomorrow. HO HO, be a HO! 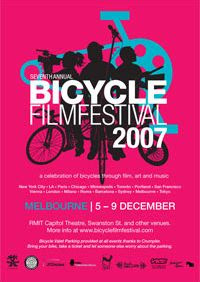 The Bicycle Film Festival is in Melbourne, Australia. Then the final stop for the Festivals circuit is Tokyo, December 14th-16th. It is also time to submit your bicycle films for the 2008 festival. The deadline is February 19, 2008 and submission form can be found on the bicycle film festival website. MBT offers one day tours, best value tours, ultimate personalized touring and four wheel drive day tour program in Melbourne including charter services, extended tours, local sightseeing and airport transfers.